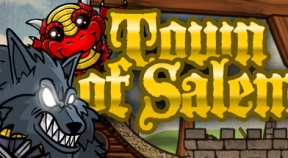 Win your first game of Town Of Salem. I'm not gon' give up! Successfully protect someone from being attacked. Have your bulletproof vest save you from death. Kill the Godfather while protecting someone. Heal someone who was attacked. Heal yourself after being attacked. Execute 3 non-town members in a game. Be killed by the Serial Killer you jailed. Successfully watch someone at night. Have 5 or more people visit your target. Win without revealing yourself as the Mayor. Reveal yourself as Mayor on day 1. Be acquitted without revealing to the Town. Communicate with a Serial Killer. Find someone to not be suspicious. Find a member of the Mafia. Listen to a private message. See a member of the mafia targeting you. See 4 or more mafia visit people at night. Transport yourself with someone else. Shoot 3 Non-Town in a single game. Shoot 3 people who can't die at night. Win a game without killing any town members. Win without going on alert all game. Blackmail a member of the Mafia. Blackmail the same person 3 times. Die to the Serial Killer you visited. Successfully disguise your role 3 times in one game. Deceive the Town with a fake role upon your death. Frame a member of the Mafia. Win the game without dying. Win the game without cleaning any bodies. Manage to clean up your own dead body. Be promoted to the Godfather. Win without dying or becoming the Godfather. Remember that you were an Amnesiac. Remember that you were a Survivor. Remember that you were a member of the Mafia. Ignite 5 or more people in one night. Ignite a Serial Killer and Godfather in the same night. Get your target lynched on day 2. Be attacked 5 or more times in a game. Lynch your target twice in one game. Kill the Jailor who jailed you. Kill 5 or more people in one game. Win the game with another SerialKiller. Win without using a bulletproof vest. Make a Vigilante shoot another town member. Force 2 Town members to die to a Veteran in a game. Control a SerialKiller 5 times in a game. Win with all Town members still alive. Win with all Mafia members still alive. Be acquitted by a tie vote. Have a game last 10 days. Win with half of the Town roles. Win with all of the Town roles. Win with half of the Mafia roles. Win with all of the Mafia roles. Win with half of the Neutral roles. Win with all of the Neutral roles. Win with half of all roles. Win your first game as a Werewolf. Win 5 games as a Werewolf. Win 10 games as a Werewolf. Win 25 games as a Werewolf. Attack 5 people in one night. Kill a Godfather, Arsonist and SerialKiller in the same night. Forge a will on an Investigator. Forge a will on yourself. Forge a will on a Mafia member. Win your first game as a Forger. Win 5 games as a Forger. Win 10 games as a Forger. Win 25 games as a Forger. Win 1 game as a Vampire Hunter. Win 5 games as a Vampire Hunter. Win 10 games as a Vampire Hunter. Win 25 games as a Vampire Hunter. Win 1 game as a Vampire. Win 5 games as a Vampire. Win 10 games as a Vampire. Win 25 games as a Vampire. Kill 3 Vampires in one game. Kill 2 Vampires in 1 Night. Convert someone to be a Vampire. Convert 3 people to vampires in one game. Win without having any Vampires die. Win with all Coven expansion roles. Win with all Coven expansion Town roles. Win with all Coven expansion Mafia roles. Win with all Coven expansion Coven roles. Win with all Coven expansion Neutral roles. Win your first game as an Ambusher. Win 5 games as an Ambusher. Win 10 games as an Ambusher. Win 25 games as an Ambusher. Win your first game as a Crusader. Win 5 games as a Crusader. Win 10 games as a Crusader. Win 25 games as a Crusader. Win 1 game as a Guardian Angel. Win 5 games as a Guardian Angel. Win 10 games as a Guardian Angel. Win 25 games as a Guardian Angel. Win 1 game as a Hex Master. Win 5 games as a Hex Master. Win 10 games as a Hex Master. Win 25 games as a Hex Master. Win 1 game as the Juggernaut. Win 5 games as the Juggernaut. Win 10 games as the Juggernaut. Win 25 games as the Juggernaut. Win 1 game as the Coven Leader. Win 5 games as the Coven Leader. Win 10 games as the Coven Leader. Win 25 games as the Coven Leader. Win 1 game as Medusa. Win 5 games as Medusa. Win 10 games as Medusa. Win 25 games as Medusa. Win 1 game as a Necromancer. Win 5 games as a Necromancer. Win 10 games as a Necromancer. Win 25 games as a Necromancer. Win 1 game as a Pirate. Win 5 games as a Pirate. Win 10 games as a Pirate. Win 25 games as a Pirate. Win 1 game as a Plaguebearer. Win 5 Games As Plaguebearer. Win 10 games as a Plaguebearer. Win 25 games as a Plaguebearer. Win 1 game as a Potion Master. Win 5 games as a Potion Master. Win 10 games as a Potion Master. Win 25 games as a Potion Master. Win 1 game as a Poisoner. Win 5 games as a Poisoner. Win 10 games as a Poisoner. Win 25 games as a Poisoner. Win 1 game as a Psychic. Win 5 games as a Psychic. Win 10 games as a Psychic. Win 25 games as a Psychic. Win 1 games as a Tracker. Win 5 games as a Tracker. Win 10 games as a Tracker. Win 25 games as a Tracker. Win 1 game as a Trapper. Win 5 games as a Trapper. Win 10 games as a Trapper. Win 25 games as a Trapper. Win 1 game as a Hypnotist. Win 5 games as a Hypnotist. Win 10 games as a Hypnotist. Win 25 games as a Hypnotist. Protect 5 people in a game. Attack 5 people in a game. See your target visit two people on the same night. See your target visit you. Track the same player 3 times. See Pestilence visit your target. Place 3 traps in a single game. Have the Coven Leader trigger your trap. Have 6 visions in a single game. Be role blocked 3 times in a single game. Ambush a Doctor who visits your target. Ambush a Werewolf who visits your target. Hypnotize 5 players in a game. Hypnotize a fellow Mafia member. Save your target when you are dead. Purge a poison and a douse from your target. Win 5 duels in a game. Lose 10 duels in a game. Have all the living players infected on day 5. Become Pestilence, Horseman of the Apocaylpse. Attack 5 players in a single night. Have a Jailor try to execute you. Be in a game where Pestilence is attacked by a fully powered up Juggernaut. Gain all of your powers as the Juggernaut by night 5. Kill 5 players in a single night. Attack a player in jail. Hex a fellow Coven member. Poison 5 people in a game. Have a jailed player die to your poison. Have a Veteran on alert die to your poison. Successfully heal a Coven member 5 times. Use all three potions in a single game. Turn 3 players into stone in a single night. Turn a revealed Mayor to stone. Reanimate a Werewolf on the Full Moon. Reanimate a Doctor to heal a Coven member. Control a player into Medusa's gaze. Control a player to visit Pestilence. Control a Jailor to execute his Jailee. Kill the Coven Leader as the Juggernaut.